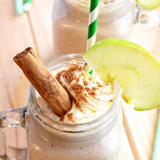 When you think of apples and bananas you don’t necessarily consider throwing them together in a smoothie. But when you think about it, it’s not such an unusual combination. Apples and bananas are probably two of the most popular fruits out there and the easiest to get kids to eat. Most of us usually have some lying around in a fruit bowl. So why not use them to make an apple banana smoothie. 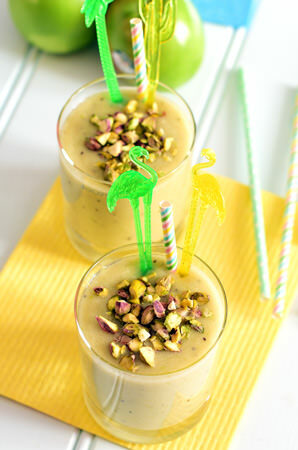 Bananas are the ultimate smoothie ingredient. 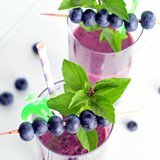 In fact they work their magic with almost any other fruit, giving your smoothie that thick creamy consistency without which a smoothie simply, well, wouldn't be a smoothie. As well they are packed with nutrition, helping with indigestion and controlling those sugar cravings. I always keep some frozen ready to throw into the blender. 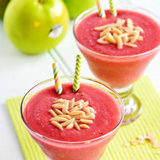 Apples probably don’t come instantly to mind as a smoothie ingredient, but are great when combined with other fruits. But the number one reason to add them to your smoothies is for their nutritional value. They are associated with lowering the risk of stroke, cancer and heart disease as well as improving memory and strengthening bones. The high water and fiber content will leave you feeling full for longer which is great for weight loss. 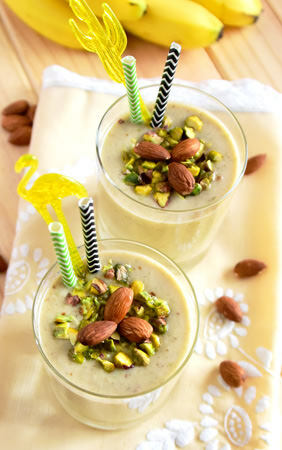 Blend together the apple, banana, kiwi fruit, almond milk and flaxseeds until everything is smooth and creamy. Pour into your favorite glasses. Put the banana, apple, pear, vanilla yogurt, almond milk and vanilla bean paste into your blender and whizz on high until all ingredients are smooth and frothy. 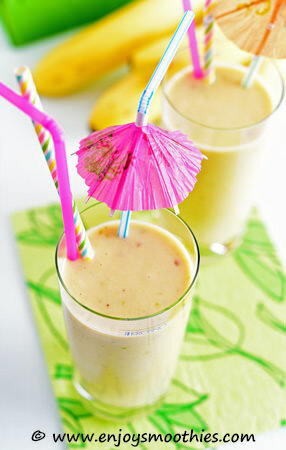 In a blender combine the apple, banana, mango, almond milk and yogurt. Secure lid and blend on high until everything is smooth and creamy. 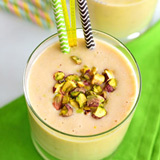 Add the banana, apple, peanut butter and almond milk to a blender and blitz on high until frothy and creamy. This recipe makes one large glass. Double the recipe for two.